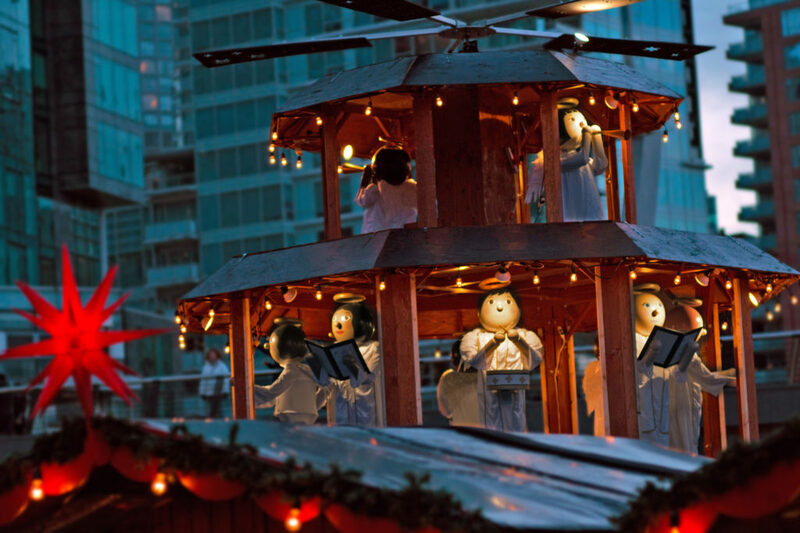 Vancouver, BC – The city’s signature yuletide celebration returns to its expansive seaside home, November 22 – December 24, 2017 at Jack Poole Plaza (at the Olympic Cauldron) offering its largest, authentic German festivities to date. 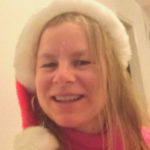 The cherished holiday tradition will feature more than 75 huts stuffed with sweets, treats and treasures, coupled with a multitude of festive family activities and live entertainment. 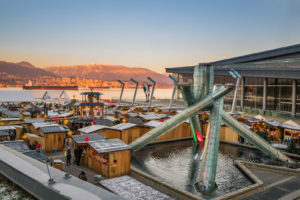 Attracting a record number of more than 215,000 visitors last season, the Vancouver Christmas Market remains one of the city’s beloved holiday experiences. Tickets to the 2017 Vancouver Christmas Market are now on sale! SAVE THE DATE! Media are invited to an exclusive media tour of the Vancouver Christmas Market from Founder & President Malte Kluetz on November 21 at 4:45pm under the twinkling lights. Media will enjoy a taste of the market, sampling a beautifully crafted menu of new and popular fare, as well the opportunity to experience the expanded activities and highlights. Media will also be treated to a carefully curated gift box of authentic German treats and one-of-a-kind gifts from a host of new and returning vendors throughout the market. 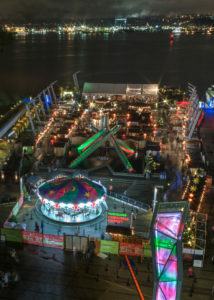 Vancouver Christmas Market is honoured to work with and support its charitable partner the Children’s Wish Foundation. Be sure to join us for the Market’s ‘Children’s Wish Week’ from December 16 to 24, 2017, to support this important organization.